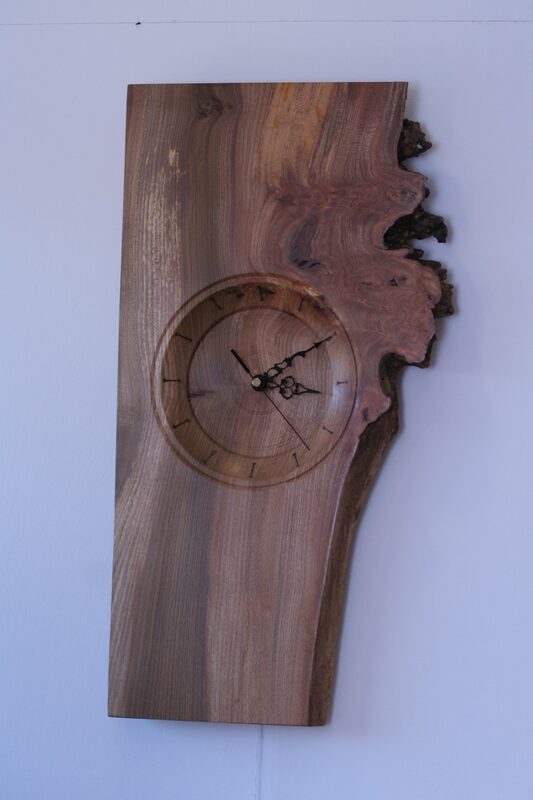 Elm wall clock in the making, Irish elm is now very difficult to come by as the country was left with only a very small amount of healthy mature trees after Dutch Elm disease. Once as common as ash or oak in Ireland, the elm trees were killed off by a fungus which is carried by flying beetles which eat elm leaves. Therefore in the Woodturning Studio we get very excited when we get nice Irish elm.